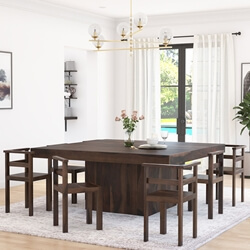 Now you can invite the whole gang over and put a whole new spin on entertaining with our Modern Pioneer Lazy Susan Pedestal Dining Table and Chair Set. 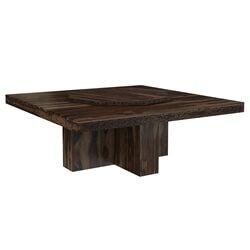 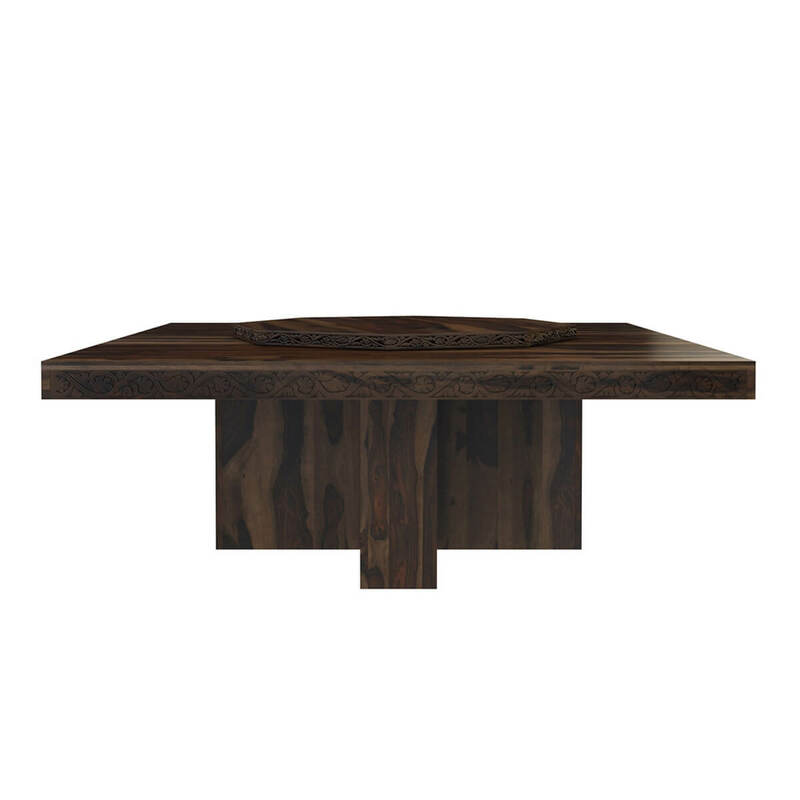 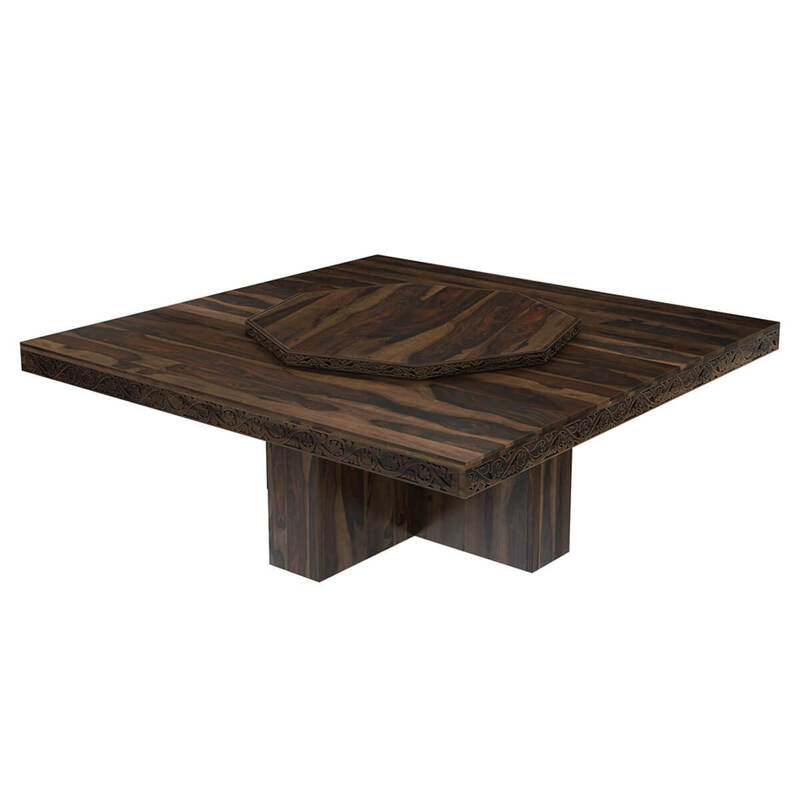 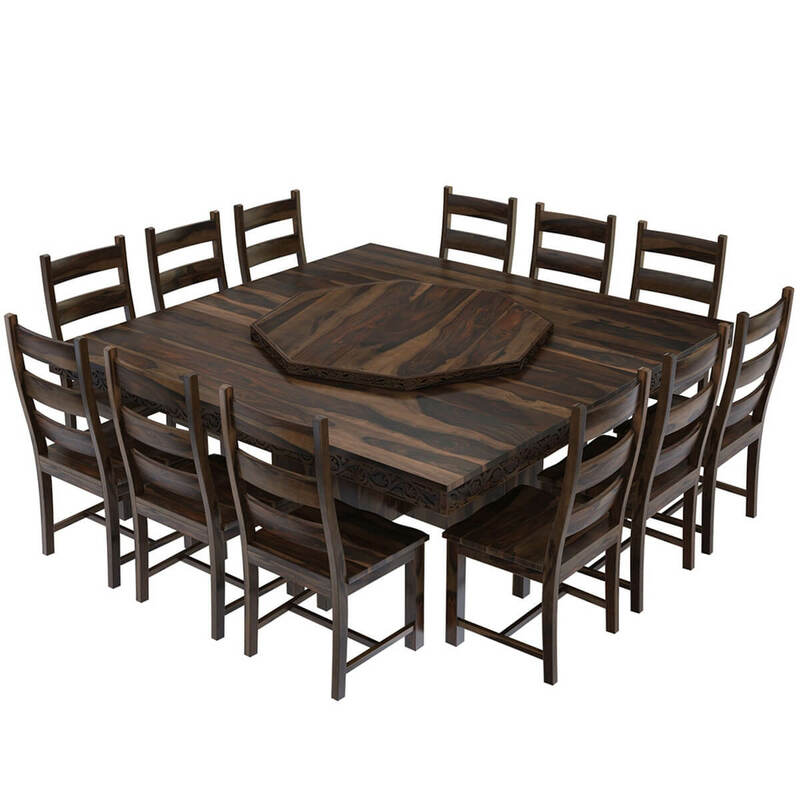 This square dining table is built on a + shaped pedestal and a built in octagon shaped turning center. 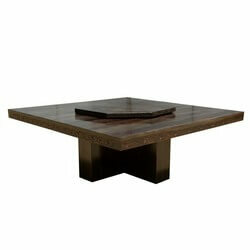 The edges of the table and the Lazy Susan both are decorated with an intricate hand carved design. 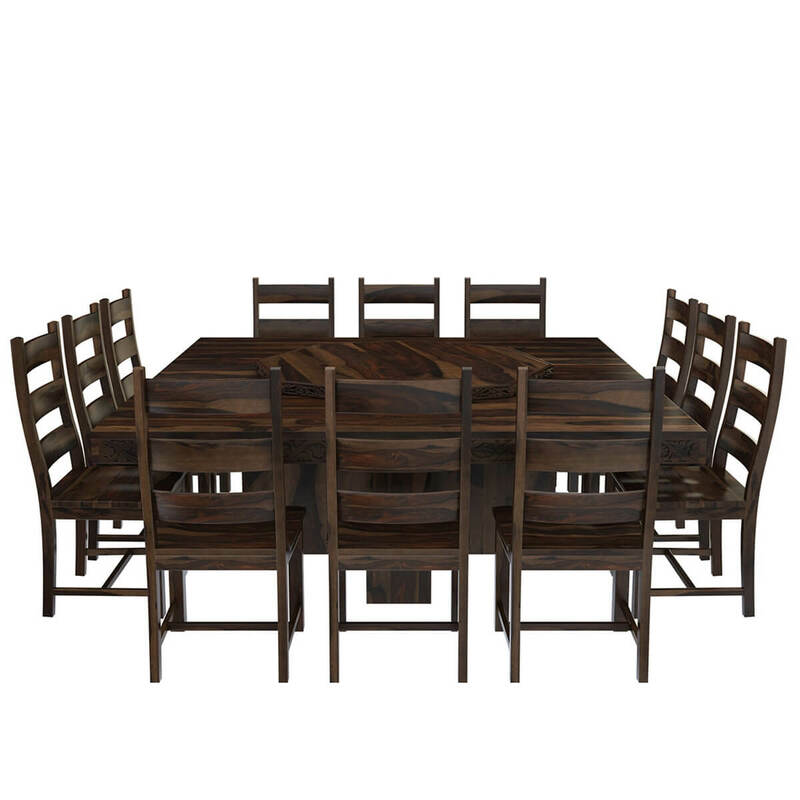 The solid hardwood chair has a high back, wide seat and H shaped stretcher for stability. 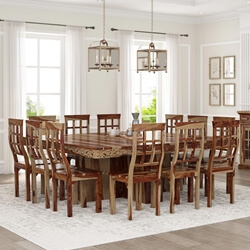 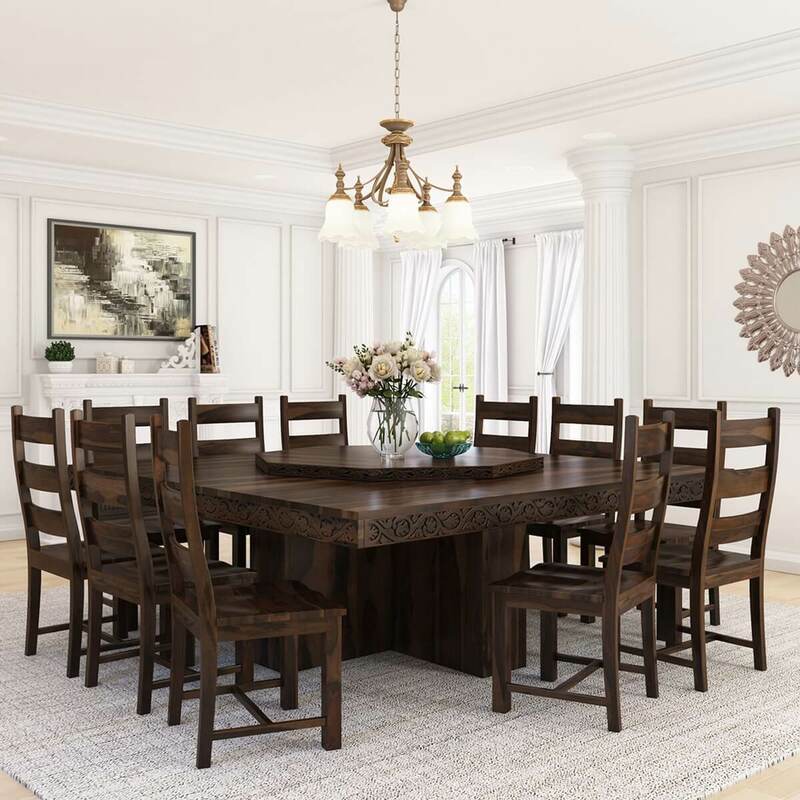 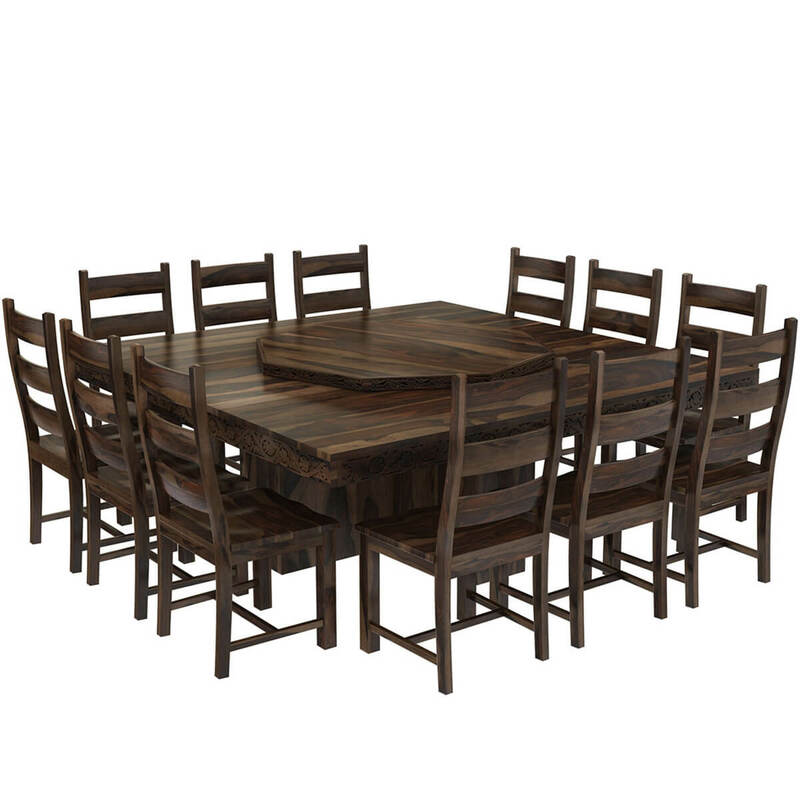 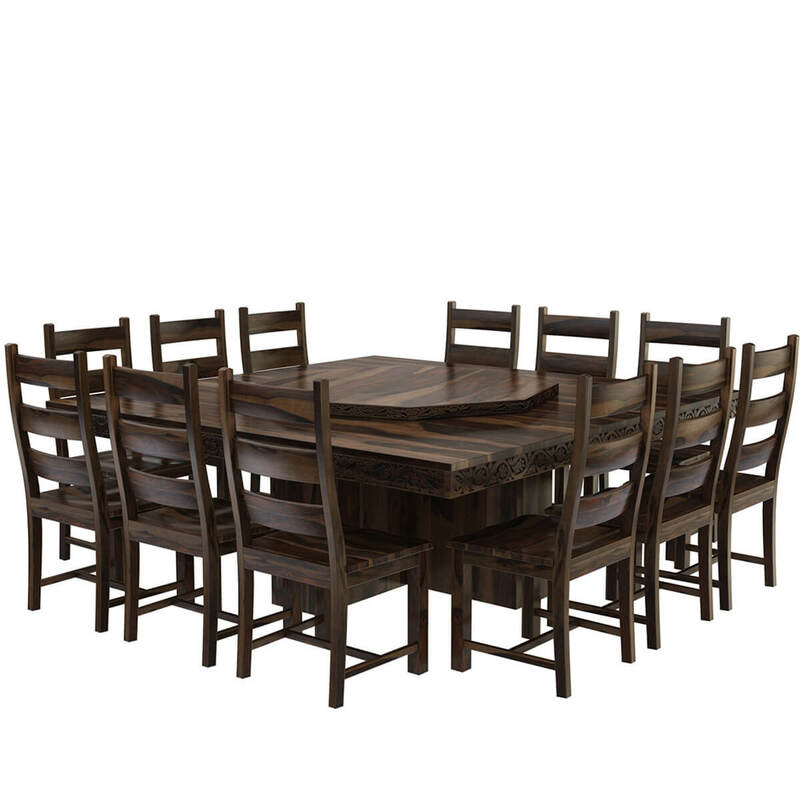 This heirloom quality dining ensemble is built with Solid Wood, a premium hardwood ideal for furniture because it is both strong and durable.